Taking this a little bit further, Professor Exley explained that it is possible for two individuals to have very similar amounts of aluminum in their body and for only one of them to suffer an adverse effect, which he says could be due to individual physiology, medical history and genetics. Speaking about the different ways in which the body can absorb aluminum, Professor Exley talked about the gut, the lungs, the nose and the skin before moving on to the subject of vaccination and adjuvants. He stated that we must understand that aluminum exposure in this form is very different from any other form of exposure. Currently, we are researching the simple things. For example, when you inject an adjuvant, what is its fate? What happens to it? What happens to it, relative to the antigen that it was injected with? We are about to be able to publish what we believe is for the first time unequivocal evidence that, yes, immune cells do come to the site of the injection, they do take up aluminum particles and they will transport them elsewhere. In other words, once you have been vaccinated with a vaccine containing an aluminum adjuvant at an injection site, there is the potential for it to go anywhere in the body and if it is such an effective adjuvant at an injection site, then could it not be an equally effective adjuvant elsewhere? In other words, if particulate aluminum gets carried into the brain or into another organ, then it could have the potential to act as an adjuvant there, couldn’t it? Could it not induce the type of inflammatory response that you see at the site of an injection in any other type of tissue where that adjuvant material ends up, simply because it’s been carried there? If Professor Exley is correct, could his research explain why so many babies develop encephalitis (inflammation of the brain) shortly after receiving multiple vaccinations containing aluminum? Dr. Lucija Tomljenovic, a scientist working at the University of British Columbia, Canada, believes that the level of aluminum children receive in their diet and childhood vaccinations is far in excess of the safe levels recommended. In a paper that she wrote in 2010, titled Aluminum and Alzheimer’s Disease: After a Century of Controversy, Is there a Plausible Link?, she explained that the blood brain barrier (BBB) in young children is immature, making them more susceptible to toxic substances. According to the latest vaccination schedule, every child in the USA will receive a total of 5–6 mg of Al by the age of 2 years, or up to 1.475 mg of Al during a single visit to the pediatrician (Table 6). This is contrary to the upper limit of 5µg Al/kg/day set by the Food and Drug Administration (FDA) for premature neonates and individuals with impaired kidney function. Healthy neonates may be able to handle more Al, however, there are no such studies available upon which we could safely estimate acceptable upper levels of Al from parenteral or injectable sources in healthy children. In that respect, it is worth noting that the FDA document states that Al accumulation at levels associated with central nervous system and bone toxicity may occur at even lower rates of exposure. Reading through her detailed vaccination schedules, you will see that the amount of aluminum a small baby can receive in just one visit to the doctor’s office is of great concern. Using the figures supplied by Dr. Tomljenovic in her paper, in just one visit, an eight week-old baby could receive vaccinations containing a cumulative sum of 1.225 – 1.475 mg of aluminum, an amount well in excess of the FDA’s recommendations. If children are receiving well in excess of the recommended doses of aluminum per visit to the doctor, plus the high doses of aluminum in their food and drinking water, then it is fairly safe to assume that if this pattern continues to old age, combined with the aluminum used in other products such as medication and cosmetics, then the long-term effect on the brain could be catastrophic, especially to an elderly person. A further study conducted by Canadian scientists Professor Christopher Shaw and Dr. Lucija Tomljenovic revealed that the more vaccines that children receive containing the adjuvant aluminum, the greater their chance is of developing autism, autoimmune diseases and neurological problems in the future. In 2013, in their paper, published by Springer Science+Business Media, titled Aluminum in the Central Nervous System (CNS): Toxicity in Humans and Animals, Vaccine Adjuvants, and Autoimmunity, they revealed that during a 17-year period, the rates of autism had increased significantly in countries that had the most vaccinations containing the adjuvant aluminum. 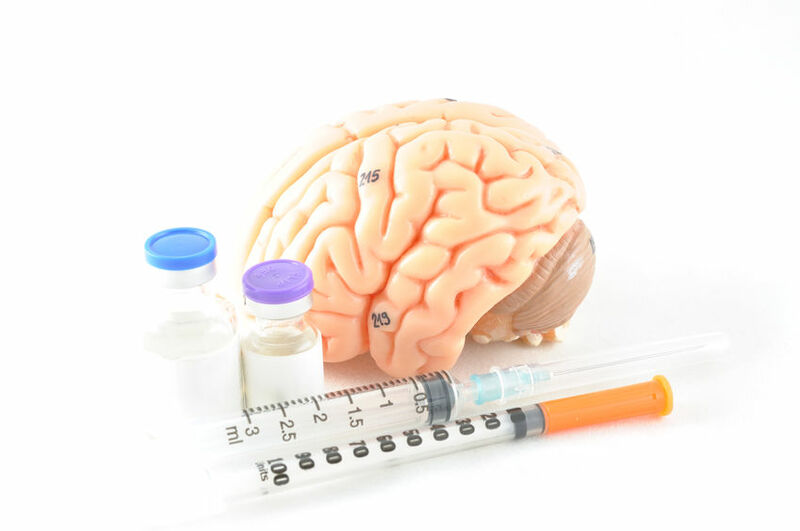 The researchers compared the number of vaccines recommended by the Centers for Disease Control and Prevention (CDC) during the period from 1991 – 2008 and the changes in the autism rates during the same period. The observed correlation between the number of aluminum-adjuvanted vaccines and ASD was further tested using Hill’s criteria and met eight of nine of these indicating that vaccines containing aluminum are highly likely to be at least partially causal for autism. For those who are not familiar with ‘Hill’s criteria,’ it is a technique used to determine a causal link between a specific factor and a disease. For example, does excess smoking cause lung cancer? Scientists seeking “to establish a valid causal connection between a potential disease agent” now frequently use the technique, which was first developed by British medical statistician Austin Bradford Hill. There are other links between aluminum exposure/toxicity and ASD. These include the following: A pilot study showed higher than normal aluminum levels in the hair, blood and/or urine of autistic children; children are regularly exposed to higher levels of aluminum in vaccines per body weight than adults; practically, nothing is known about the pharmacokinetics and toxicodynamics of aluminum in vaccines in children; and aluminum in vaccines has been linked to serious neurological impairments, chronic fatigue and autoimmunity. If Professor Shaw and Dr. Tomljenovic are correct, then their results are extremely worrying, especially as autism is not the only condition to which their paper linked the adjuvant aluminum. In fact, their paper also linked aluminum to the rise in the incidence of Alzheimer’s disease, Gulf War syndrome and a relatively new syndrome, ASIA (autoimmune/inflammatory syndrome induced by adjuvants), that was identified by scientists in 2011. In 2006, Professor Exley and his team wrote a paper titled Non-invasive therapy to reduce the body burden of aluminium in Alzheimer’s, in which the team discussed ways to reduce the body burden of aluminum in patients with Alzheimer’s disease. Based upon the premise that urinary aluminium is the best non-invasive estimate of body burden of aluminium patients with Alzheimer’s disease were asked to drink 1.5 L of a silicic acid-rich mineral water each day for five days and, by comparison of their urinary excretion of aluminium pre-and post this simple procedure, the influence upon their body burden of aluminium was determined. For the purpose of their study, the team used the mineral water Volvic, because of its high concentrations of the mineral silicic acid, which Professor Exley says can reduce body burden of aluminum through the urine if drank regularly. He believed that by reducing the body burden of aluminum in patients with Alzheimer’s disease, this process may slow down the diseases progression. of the ten patients. Patients completed record cards on which they indicated how much Volvic they drank on each day and whether or not they drank it neat or used it to make other beverages. Patients were not asked to drink the 1.5 L of Volvic as an additional constituent of their daily diets but to include it as part of their diets for that week. Apart from drinking Volvic in Week 2 the patients were encouraged to carry out their normal daily routines and to adhere to their usual diets. The results of their study were reported to be very encouraging and have spurred the team to do more work in the future. We have carried out the first study to determine if silicic acid in a potable water might be used to reduce the body burden of Al in individuals with AD. While the small number of participants must imply that our results are preliminary the statistical significance achieved for the Volvic-facilitated reduction of the body burden of Al is encouraging and future research will both increase the number of study participants and extend the period of time over which therapy is administered. A final aim is, of course, to determine if lowering the body burden of Al has any influence upon the incidence, progression and aetiology of AD. If it is possible to influence the progression of Alzheimer’s disease, might it be possible to slow down the progression of other neurological disorders, including autism? Another vaccine known to contain the adjuvant aluminum is the human papillomavirus vaccination (HPV). In 2011, Professor Exley spoke to professionals at a conference on vaccination safety, where once again he mentioned his work on aluminum and mineral water. If Professor Exley is correct, then this could mean that something as simple as drinking silicon-rich mineral water may have the potential to help many other vaccine injured children including those children with autism. Sadly, to enable scientists such as Professor Exley and his team to gain the scientific data and knowledge required, they would need this research to be funded. On July 14, 2015, Professor Exley is launching an appeal to the public titled The Peoples Trial The First Clinical Trial to Test the Aluminium / Alzheimer’s Disease Hypothesis to enable further research to proceed. In his video, he explained that as yet, a cure for Alzheimer’s disease has not been found. This is because scientists do not know the cause of the disease. He believes that if he and his team were able to carry out further research on the known links between Alzheimer’s disease and aluminum, then it may be possible to slow down the progression of the disease. One factor which has been linked to Alzheimer’s disease for actually 50 years now is human exposure to aluminum, exposure to aluminum in our everyday life. However, in all that time there has never been a clinical trial to test whether our exposure to aluminum in our everyday life contributes to Alzheimer’s disease. The idea therefore in this trial, is to test this hypothesis, that aluminum has a role to play in the disease. Professor Exley explained how he and his team propose to recruit individuals suffering from the early stages of Alzheimer’s disease and ask them to drink a litre of silicon-rich mineral water every day for two years and monitor the progress of their disease. If this trial is successful, for example in demonstrating a role of aluminum in Alzheimer’s disease, then not only will we have shown that aluminum plays a role but we will have an effective treatment, we will have the first effective treatment. Of course, if the team is successful, then their work could potentially pave the way for further trials examining the link between aluminum and other neurological conditions, including autism, Tourette syndrome and epilepsy. Sadly, as yet, Professor Exley has been unable to secure the necessary funding that he and his team would require to carry out such a trial and he now believes that an appeal to the public may be only the way that they will be able to carry out their work. This is why we are asking for the public’s help to support and fund a clinical trial which will establish once and for all if human exposure to aluminum is a contributory factor in Alzheimer’s disease. Further details about this appeal and the proposed trial can be found at the link below. Christina was born and educated in London, U.K. She received an A Level in Psychology and a BTEC in Learning Disabilities. She has spent many years researching vaccines and adverse reactions. She has an HND in journalism and media and is currently writing for the American Chronicle, the Weekly Blitz, The Liberty Beacon project and Vaccination Truth on immunization safety and efficacy. TLB recommends you visit GreenMedInfo (original site of publication) for more pertinent articles and information. TLB also recommends you visit Children’s Medical Safety Research Institute (CMSRI) for more pertinent information. Oxygen is the final acceptor of electrons in the electron transport chain. Without oxygen, the electron transport chain becomes jammed with electrons. Consequently, NAD cannot be produced, thereby causing glycolysis to produce lactic acid instead of pyruvate, which is a necessary component of the Krebs Cycle. Thus, the Krebs cycle is heavily dependent on oxygen, deeming it an aerobic process. We can literally force mitochondria to become active again and use the Krebs Cycle for energy if we ram enough oxygen into the cells. This process, called Anti-Inflammatory Oxygen Therapy, rockets oxygen into cancer cells so they stop being cancerous (anaerobic) and regain apoptosis, their programmable cell death. If you put enough oxygen into a cancer cell it will turn on the Krebs Cycle (the mitochondria) and this reignites the program for cell death. Dr. Philipp Mergenthaler and Dr. Andreas Meisel showed that depriving a cell of glucose, while giving it plenty of oxygen at the same time, blocks glycolysis and therefore forces the cell to revive its mitochondria and use the Krebs Cycle for energy. The citric acid cycle — also known as the tricarboxylic acid cycle (TCA cycle), or the Krebs cycle, is the prime life pump that creates the energy to live. Healthy cells are aerobic, meaning that they function properly in the presence of sufficient oxygen. Healthy cells metabolize (burn) oxygen and glucose (blood sugar) to produce adenosine triphosphate (ATP), which is the energy “currency�? of the cells. Aerobic cellular respiration does require 6 molecules of oxygen for every molecule of glucose. The chemical formula is 6O2 + C6H12O6 –> 6CO2 + 6H2O + ATP energy. The three-carbon sugar, known as pyruvate, and NADH are shuttled to the Krebs Cycle to create more ATP under aerobic conditions. If no oxygen is present, pyruvate is not allowed to enter the Krebs cycle and it is further oxidized to produce lactic acid. The mitochondria are especially sensitive to light. In fact, the mitochondria are like simple bacteria using light, magnesium, bicarbonates, CO2 and oxygen. They are energy factories like plants are except one is basically creating energy in the form of glucose whereas the mitochondria turn out ATP. Dr. Robert Rowan says, “Warburg emphasized that you can’t make a cell ferment unless a LACK OF OXYGEN is involved. In 1955, two American scientists, R.A. Malmgren and C.C. Flanigan, confirmed Warburg’s findings. They found that oxygen deficiency is ALWAYS present when cancer develops.�? Warburg found that you can reverse fermentation simply by adding oxygen – but only if you do it early enough. He incubated cells in nitrogen, starving them of oxygen for regular but short periods. Starving the cells of oxygen caused them to begin fermentation and that is where cancer begins. Restoring oxygen promptly enabled the cells to recover. However the longer they were oxygen starved, the slower and less certain the recovery. With enough oxygen starvation, cells don’t recover. Once they reach a certain point, no amount of oxygen will return them to normal.�? But we can make these cancer cells die with oxygen. Johns Hopkins Medicine reports that, “Cancer cells have been long known to have a “sweet tooth,�? using vast amounts of glucose for energy and for building blocks for cell replication. Now, a study shows that lymph gland cancer cells called B cells can use glutamine in the absence of glucose for cell replication and survival, particularly under low-oxygen conditions, which are common in tumors.�? Writing in the Jan. 4, 2012, edition of Cell Metabolism, Anne Le, M.D., and a team of investigators collaborating with the Johns Hopkins Brain Science Institute, say the finding is critical for developing innovative cancer therapies because it offers “proof of concept” evidence that curbing the growth of B cell cancers can be accomplished by inhibiting a glutamine enzyme called glutaminase. The study also found that when oxygen is scarce, there is enhanced conversion of glutamine to glutathione, an important agent for controlling the accumulation of oxygen-containing chemically reactive molecules that cause damage to normal cells. One of the main reasons cells lose oxygen is excessive sugar intake. We also know that poisons, preservatives, radiation, or other carcinogens affect a cell’s ability to use oxygen. Warburg said that glucose brings a cell’s ability to use oxygen down. One of the principle ways sugar does this is by creating chronic inflammation in the capillaries and other tissues thus cutting down on oxygen delivery to the cells. When we gorge on the long list of widely available junk foods our cells do not get the oxygen they need to function correctly. We can cure cancer by blocking glycolysis with oxygen. This forces mitochondria to become active again and use the Krebs Cycle for energy so that the cells can stop being cancerous and regain apoptosis. The chemical dichloroacetic acid (DCA), which increases the chemical reactions of the Krebs cycle in mitochondria, has been shown to kill cancer cells in laboratory tests and in animals. I never put DCA in the Natural Allopathic protocol because some very severe adverse effects such as encephalopathies, liver problems and severe peripheral neuropathies can occur. Essentially the Krebs cycle (also known as the citric acid cycle) involves a series of enzymatic reactions that transform proteins (in the form of their constituent amino acids), fats (as their constituent fatty acids) and carbohydrates (as glucose) into intermediate substances. These intermediates are then passed into the electron transport chain where they undergo a further series of reactions – receiving and donating electrons down the chain – to produce energy, in the form of ATP (adenosine triphosphate), CO2 and water. The presence of sufficient oxygen within the cells is essential to the success of this entire procedure, as the term oxidation itself indicates. If insufficient oxygen is delivered to the cells, this entire enterprise will be compromised. The most logical, effective, safe, necessary and inexpensive way to treat cancer is to cut off the supply of food to tumors and cancer cells, starving them with a lack of glucose. Sugar feeds tumors and creates general inflammation that is pro-cancer so glucose starvation—that is, depriving cancer cells of glucose—activates a metabolic and signaling amplification loop that leads to cancer cell death. Research published in June 2013 by researchers from the University of South Florida and Boston College using mice models reported that a “Ketogenic Diet alone significantly decreased blood glucose, slowed tumor progression and increased mean survival time by 56.7% in mice with systemic metastatic cancer. While Hyperbaric Oxygen Therapy alone did not influence cancer progression, combining the Ketogenic Diet with Hyperbaric Oxygen elicited a significant decrease in blood glucose, tumor growth rate and a 77% increase in mean survival times compared to the controls. Researchers concluded that on its own Hyperbaric Oxygen had no effect on the oxygen-devoid, acidic hypoxic pockets nor on the glucose burning cancer cells. But in combination with a Ketogenic Diet, where the body is starved of glucose, Hyperbaric Oxygen had a significant complementary effect, and it increased survival times. Abnormal cancer metabolism creates a glycolytic-dependency, which can be exploited by lowering glucose availability to the tumor. 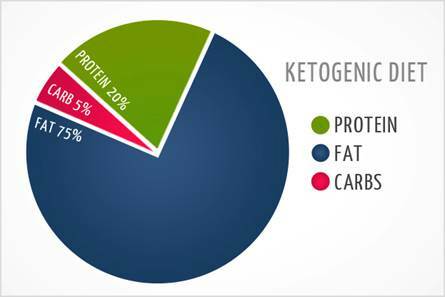 The ketogenic diet (KD) is a low carbohydrate, high fat diet, which decreases blood glucose, elevates blood ketones, and has been shown to slow cancer progression in animals and humans. Abnormal tumor vasculature creates hypoxic pockets, which promote cancer progression and further increase the glycolytic-dependency of cancers. Hyperbaric oxygen therapy saturates tumors with oxygen, reversing the cancer promoting effects of tumor hypoxia. Anti-Inflammatory Oxygen Therapy offers more oxygen concentration than the best hyperbaric chambers for patients who can get out of their beds and exercise while breathing higher levels of oxygen than ever been given before. Dr. Jockers reminds us that, “The body has two major energy sources, it burns glucose or ketone bodies. The majority of people burn glucose primarily because they are constantly supplying a steady form of sugar, starches and proteins that can be turned into blood sugar. When one either fasts or goes on a low-carb, moderate protein and high fat diet they switch their energy source to fat. In particular, the fatty acids are broken down into ketone bodies. The three major forms of ketones produced in the body include Acetoacetate, Acetone and Beta-Hydroxy Butyric acid. These are released into the blood from the liver when insulin levels are low and hepatic liver metabolism is increased.�? One is the easily implemented Budwig protocol, which is better for people who have no intention of coming off their dairy. I say this because for some approaches (Hippocrates and Gerson methods) dairy is off limits. This issue cannot be decided for the patient, it is something they have to decide for themselves. Dr. Johanna Budwig holds up the nutritional fact that low carbohydrates and high fats of the healthy type have an unusual sway on the outcome of cancer. Their “fast track�? potent anti-cancer protocol, when followed properly, has been reported to have an 80-93% success rate. The Gerson Therapy treats the causes of most degenerative diseases, toxicity and nutritional deficiency by flooding the body with nutrients from about 15-20 pounds of organically grown fruits and vegetables daily. Most is used to make fresh raw juice, up to one glass every hour, up to 13 times per day mostly from raw carrot, apple and green-leaf juices. Raw and cooked solid foods are generously consumed. Oxygenation is usually more than doubled. So we can clobber cancer by going to the root causes and reverse them. We can flood the body with higher levels of oxygen by taking sodium bicarbonate (without the blackstrap molasses or maple syrup), slow our breathing down, and then flood the body with oxygen with the Live O2 system that simultaneously employs exercise therapy (high levels of carbon dioxide) with a massive flood of oxygen that will carpet bomb the cancer to smithereens. Of course we do not have to stop here with the annihilation. We can bring in horde armies of iodine, selenium, magnesium and glutathione to increase the chances that none of the enemy remains alive. If we are vigilant with our oxygen intake after successful treatment we can and will hold back recurrences that do eventually come back to haunt the work of modern oncologists who weaken, not strengthen, their patients with extremely toxic tests, chemotherapy and radiation. Nicotinamide adenine dinucleotide, abbreviatedNAD+, is a coenzyme found in all livingcells. The compound is a dinucleotide, since it consists of twonucleotidesjoined through their phosphate groups. One nucleotide contains anadeninebase and the other nicotinamide. Inmetabolism, NAD+is involved in redox reactions, carrying electronsfrom one reaction to another. The coenzyme is, therefore, found in two forms in cells: NAD+is anoxidizing agent– it accepts electrons from other molecules and becomes reduced. This reaction formsNADH, which can then be used as areducing agentto donate electrons. TLB recommends you visit Dr. Sircus.com for more great/pertinent articles. The polio vaccines developed in the 1950s by Jonas Salk and Albert Sabin allegedly eradicated one of the most feared diseases of the 20th century. The media hailed the success of these vaccines as a modern day miracle. However, the polio story has a much darker side that has mostly been kept a secret. Both Sabin’s live virus vaccine given orally and Salk’s inactivated virus vaccine given by injection were far from perfect. In fact, in 1955 the vaccine used in Berkley, California infected some 200 children, leaving several dead and many paralyzed. Yet this incident proved minor compared to what was later discovered. In order to grow large quantities of the polio virus, scientists needed to use Rhesus monkey kidney cells, which carried many different viruses. As a result, their polio vaccine became contaminated with a cancer-causing virus carried by these monkeys. This vaccine was given to almost 100 million people. The virus found in this particular polio vaccine was SV40, or simian virus. It is present in human tumors, and research has established it to be a contributing factor in the rise of many types of cancer, including mesothelioma, bone, and brain cancer. When the government became aware of this, it was downplayed for fear the public would stop accepting vaccination. Can the US Centers for Disease Control (CDC) Be Trusted? The original report disclosed that more than 98 million Americans received the contaminated vaccine between 1955 and 1963, and explained that SV40 could lead to certain types of cancer. Later this admission was downplayed to state that there was no proof the virus caused the cancers, and since not all doses of the vaccine were contaminated, an estimated 10 to 30 million Americans were all who were at risk. The CDC repeatedly referred to studies done by two scientists which concluded that SV40 did not cause cancer in humans, only in lab animals. In 1959, Dr. Bernice Eddy of the National Institutes of Health discovered that the monkey kidney cells used to grow the polio virus caused cancerous tumors when injected into hamsters. After reporting these findings, Eddy was excused from her job and assigned a new position. Not long after, the pharmaceutical company Merck made the same discovery. In 1960, Merck scientists Dr. Maurice Hilleman and Dr. Benjamin Sweet (the Merck scientists who named the SV40 virus), published findings concluding that the polio vaccine was indeed contaminated with the SV40 virus. Hilleman later admitted (back then on tape) that Merck knew the vaccines were contaminated and continued to dispense them to the public anyway. Subsequent in vitro studies in the 1960s demonstrated that SV40 caused brain tumors in animals and transformed normal human tissue into cancerous tissue. It was obvious that governing authorities wanted to keep this information under wraps, and so the SV40 scandal disappeared from the public eye for years. In the 1990s, a young Italian pathologist named Dr. Michelle Carbone discovered a link between mesothelioma and certain brain, bone, and lymphatic cancers, and the SV40 virus. He tested lung tissue from cancer patients, which revealed the presence of the SV40 virus, and every single one of the hamsters tested with the virus developed mesothelioma and died within seven months. Carbone published his findings in 1994 in a leading cancer research journal. For the first time, hard evidence showed (and was made public) that the SV40 could cause cancer in humans, and the long forgotten scandal of the 1960s awakened from its slumber. In 1996, in an attempt to refute Carbone’s research, Dr. Howard Strickler and Dr. Keerti Shah responded with reports saying they could not detect SV40 in human tumors. Interestingly, Merck and Pfizer were paying Shah at the time for consulting, specifically on SV40. Strickler and Shah also both performed their research in pharmaceutical sponsored laboratories. Later, in 2003, Shah testified before Congress that Strickler compromised a study by interfering with its controls. Strickler had conflicts of interest as he was a consultant/advisory board member for Merck and GlaxoSmithKline. After numerous studies showing SV40 was cancer causing, weak regulations were put into place. Shockingly, the Division of Biologics Standards (DBS) of the National Institutes of Health (NIH) did not order a recall of any of the contaminated polio vaccines. They continued to distribute contaminated vaccines to an unsuspecting public until 1963. Finally, new federal regulations were put in place that required vaccines to be tested for SV40. These new regulations required a waiting period of 14 days to see if the virus was growing before making the vaccine. However, it was later discovered that a slower growing form of the virus, which took 19 days to appear, could have been in the approved vaccines. Therefore, millions more people potentially received contaminated vaccine all the way through the 1990s because of these inadequate testing guidelines. Cancer has risen exponentially since the 1960s, and by 2002 there were 61 reports from 49 different laboratories across the world suggesting an increased incidence of certain cancers caused by SV40. The British journal The Lancet revealed SV40 was responsible for over 25,000 cases of non-Hodgkin’s lymphoma each year. By 2003, 60 more labs had been identified which demonstrated a connection to the SV40 virus and cancer. Dr. Randy Tent, DC, ND, PhD, a highly renowned alternative doctor, reported at a health conference in 2013 that “one out of 200 people will have cancer directly caused by SV40.�? The response of the CDC to the SV40 scandal mimics their current denial of the autism-vaccine link. It appears the CDC selectively chooses which science they would like to follow when it comes to their covert vaccine agenda. Most often their “science�? of choice comes from pharmaceutical sponsored laboratories, despite the presence of unbiased research proving that many vaccines are not safe. Most people have received several doses of the polio vaccine throughout their life. 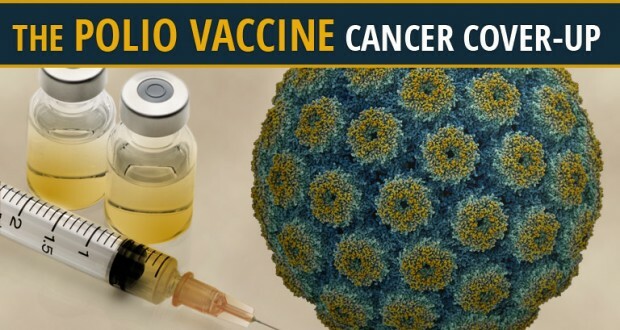 With cancer affecting so many, and vaccines distributed so widespread, one must consider vaccines as a contributing factor, especially since they contain known carcinogens and cancer-causing viruses. Regular cancer prevention needs to include detoxification from heavy metals and other carcinogens. When it comes to vaccines, do your own research. Read all vaccine package inserts and don’t just blindly trust doctors (who have to follow FDA rules) and government agencies such as the CDC whose track record is suspect when it comes to protecting the public. Could there be a polio vaccine cancer connection? Do you trust the CDC? What are your thoughts and please share this important article with your friends and family. Landee Martin is a wife and mom to three children. She has a Bachelor of Science in Psychology with a focus on research methods. After noticing some serious reactions following her children’s routine vaccinations, she questioned her medical doctor who refused to acknowledge any connection. After her youngest then went into anaphylactic shock following a DTaP vaccination, Landee started researching heavily and discovered that there was A LOT her doctor wasn’t telling her! Since, she has become well versed on vaccine medical research and uncovering the lies and questionable motives of both drug companies and politicians. She is passionate at getting the truth out to as many people who will listen. TLB recommends you visit The Truth About Cancer for more pertinent articles and information. The FDA is effectively signing the death warrant of more patients by denying them access to Dr. Burzynski’s antineoplaston cancer treatment—for no rational reason whatsoever. Please help. Action Alert! 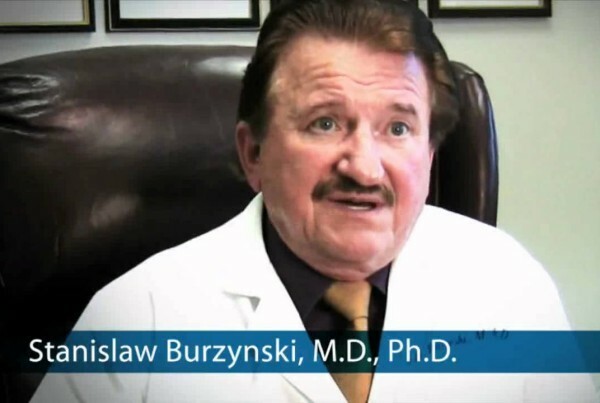 Over the years, we’ve covered the FDA’s attacks on Dr. Stanislaw Burzynski, the trailblazing cancer doctor best known for his discovery and development of antineoplastons (ANP), which are peptides and amino acid derivatives that activate tumor-suppressing genes. Independent research has confirmed antineoplastons to be an effective cancer treatment. As we’ve reported in the past, the conventional medical establishment has, through a succession of relentless attacks, slowly choked off patient access to antineoplastons. In July 2012, after years of failed legal attempts to shutter the Burzynski clinic completely, the FDA told Dr. Burzynski he could no longer accept children for treatment with antineoplastons during the current FDA trial. In January 2013, this ban was extended to adults. This means that under current FDA restrictions, no new patients can be treated with antineoplastons. Terminal cases who could be saved will instead die. Since the FDA has formally forbidden new patient access to antineoplastons, the only hope of dying patients is to convince the FDA to grant a “compassionate use�? or “single-patient protocol�? exemption via its expanded access rule. This rule allows for the case-by-case use of an experimental or unapproved drug outside of a clinical trial if a patient has a serious or immediately life-threatening disease or condition, and has no other treatment options left. For an individual patient to be granted access to an experimental drug in the expanded access rule, a doctor need only conclude that the experimental drug does not pose a greater risk than the disease itself. Despite this rule, the FDA has, on a number of occasions, refused to grant access to antineoplastons for patients for whom the treatment is the last shot at living. In one tragic case, a five-year-old diagnosed with aggressive brain cancer died while waiting for the FDA to approve ANP treatment. The FDA eventually did grant the child compassionate use, but by that time he was already brain dead. In May of this year, a patient with glioblastoma (GBM) was denied access to Dr. Burzynski’s treatment because the FDA judged that “the potential benefits [did not]justify the potential risks of the treatment.�? GBM is a highly malignant form of brain cancer and extremely difficult to treat. Apparently death is less risky for these patients than a natural and effective treatment which has a long history of safe use. What is both confusing and astonishing is that the FDA representatives who denied the request did not challenge the fact that the antineoplaston treatment has no significant additional side effects when compared to standard cancer therapies. The FDA’s main point of contention seems to be that they consider antineoplastons to be an ineffective treatment for GBM, hence they see no perceived benefit to the treatment. The actual effectiveness of the treatment is not in doubt, however, having been used for many years, but that is supposed to be determined by the current FDA-approved trial. The government actually agreed to the trial—but only if antineoplastons were combined with conventional chemotherapy, just to muddy the results and protect chemo’s primacy as a cancer treatment. And given the government’s attitude, one can only wonder if the results of the trial will ever see the light of day. Why then is the FDA denying patients access to a potentially lifesaving treatment when nothing else works? These are exactly the kinds of situations that compassionate use and expanded access were made for—patients with no other options who want access to experimental treatments. But rather than give patients one last chance, the FDA effectively signs their death warrant by denying access to Dr. Burzynski’s antineoplaston treatment. This has to stop. A public outcry against this madness can make a real difference and save lives. Last March, after a similar ANH-USA grassroots campaign to grant dying patients access to Dr. Burzynski’s treatment, the FDA quietly granted eight patients compassionate use exemptions. Action Alert! Write to the FDA and ask why the agency is yet again denying patients’ access to treatments that could save their lives—a treatment the FDA has admitted carries no significant side effects compared to other therapies for the same diseases. Please send your message immediately. Please watch this trailer of the award winning film produced on the life of Dr. Burzyinski below. You can purchase the full length film, including the new Part 2, below. TLB recommends you visit Health Impact News for more great/pertinent articles. An increasing number of countries are banning Monsanto’s cancer-linked Roundup herbicide, a.k.a. glyphosate. Others are banning Monsanto’s GMOs. Meanwhile, Monsanto-funded U.S. presidential candidate Hillary Clinton thinks “(t)here is a big gap between what the facts are, and what the perceptions are.�? Actually the facts are established: Monsanto’s herbicides and GMOs are harmful to humans and animals. Several studies have demonstrated it and even led the World Health Organization to issue a warning against glyphosate’s links to cancer. There were many animal experiments (using rats, mice and dogs) designed to test the acute and chronic toxicity of glyphosate in the period 1978-1986, conducted by laboratories such as Bio/dynamics Inc for Monsanto and submitted for EPA consideration… but like all the other older studies they were and still are treated as Trade Secrets and cannot be freely accessed for independent scrutiny. That in itself is suggestive that the studies contain data which Monsanto still does not wish to be examined by experts in the toxicology field. It is also deeply worrying that EPA acceded to the routine Monsanto requests for secrecy on the flimsiest of pretexts. The Clinton and Bush II families ate organic foods. Walter Scheib was White House executive chef from 1994 – 2005. He had “the professional challenge of fulfilling Hillary Clinton’s mandate of bringing contemporary American cuisine and nutritionally responsible food to the White House,�? he said. Nearly all foods used were gotten from local growers and suppliers. A small White House roof garden was used for produce grown without pesticides and fertilizers. Organic foods were prioritized. As Mike Adams reports, Hillary Clinton has hired former Monsanto lobbyist to run her campaign and her law firm used to have Monsanto as a client. It is no surprise that she strongly advocates GMOs. If GMOs are as good as Hillary pretends they are, however, why are the first families not eating any and why are so many countries banning them? The WHO’s recent warning seems to have triggered a domino effect, inciting countries to ban Monsanto products and which could lead to its demise. Sri Lanka’s newly elected president, Maithripala Sirisena, has announced that the import of Monsanto’s favorite killing-tool, glyphosate, will no longer be allowed in the country. Sirisena is a farmer and ex health minister, and blames glyphosate for rising rates of chronic kidney disease (CKD) throughout the Sri Lankan farming community. Late last year, the Dutch parliament voted to ban the sale of glyphosate-based herbicides to private parties. The ban, under which agricultural use is excluded, was initially proposed several years ago. However, it is thought that Monsanto influence prevented it from taking place at the time. While some agencies in Brazil have been busy giving 3 new GMO crops green lights, the country’s public prosecutor has written the Brazil’s National Health Surveillance Agency (ANVISA) asking it to urgently re-evaluate their stance on the ‘likely carcinogenic’ herbicide ingredient, glyphosate. The letter was written with an expectation that the agency will ban the main ingredient in Monsanto’s best selling herbicide. State consumer protection ministers in Germany are advocating an EU-wide ban on glyphosate herbicides in response to the World Health Organization’s (WHO) categorization of the chemical as “probably carcinogenic.�? Following a recent study on Monsanto’s best-selling herbicide Roundup and its main chemical ingredient glyphosate, Bermuda has decided to suspend any importation of glyphosate/Roundup until further research give reason to lift the suspension. France’s lower house of Parliament banned GM corn in a sweeping fashion, Reuters reported. Now, no variety of GM corn can be cultivated because of its toxic threats to the soil, insects and human health. In the last election, the voters of Maui, in a ballot measure, decided to place a temporary ban on further Dow/Monsanto GMO/pesticide experiments in Maui County. Immediately, Monsanto, Dow, and yes, even the County government of Maui (betraying their own voters), lined up against the results of the vote. Hungary has taken a bold stand against biotech giant Monsanto and genetic modification by destroying 1000 acres of maize found to have been grown with genetically modified seeds, according to Hungary deputy state secretary of the Ministry of Rural Development Lajos Bognar. Unlike many European Union countries, Hungary is a nation where genetically modified (GM) seeds are banned. While the ban will stop the flow of GM foods within the nation’s borders, a recent test conducted by the Peruvian Association of Consumers and Users (ASPEC) found that 77 percent of supermarket products tested contained GM contaminants. Why Is Russia Banning GMOs While the US Keeps Approving Them? “It is necessary to ban GMOs, to impose moratorium (on) it for 10 years… It has been proven that not only in Russia, but also in many other countries in the world, GMOs are dangerous. Methods of obtaining the GMOs are not perfect, therefore, at this stage, all GMOs are dangerous. 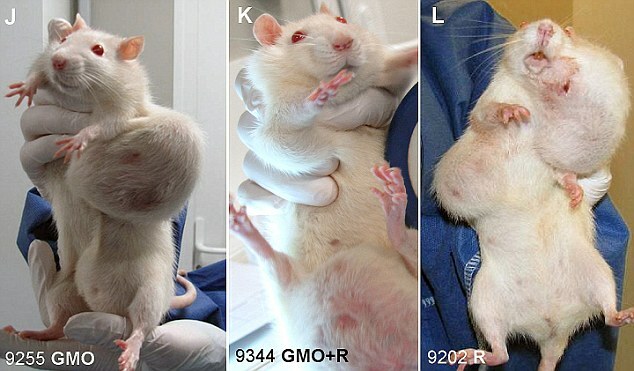 Consumption and use of GMOs obtained in such way can lead to tumors, cancers and obesity among animals. Russia’s stance against GMO is mirrored elsewhere, including in France where just recently Monsanto’s GM corn was banned and in China where the importing of US GM corn has been outlawed. The backlash against GMO has widespread appeal due to well-placed health and environmental concerns among increasingly informed populations. But the drive to push back against GMO in nations like Russia and China also has a geopolitical dimension. TLB recommends you visit Global Research for more pertinent articles. The full-spectrum global attack on human health is quite obvious to see for anyone who is paying attention and in search of wellness. So many of the factors that are negatively influencing public heath could easily be prevented or removed from society, yet the decisions of the ruling class continue to ensure that our food supply is toxic, that our environment is compromised, and that our exposure to chemicals and industrial waste is total. Why? 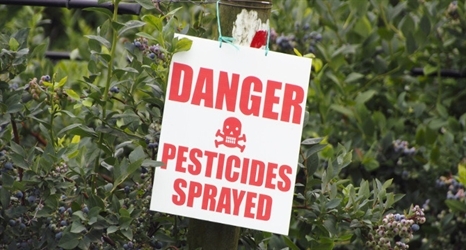 With the stroke of a pen carcinogenic poisons like Monsanto’s Roundup could be banned. Industrial disasters like Fukushima or the Deepwater Horizon could easily get the attention they deserve from world powers, but the will to intervene on behalf of human and environmental health is zero, while the will to intervene militarily in corporate and political affairs is guaranteed. People are suffering more than ever from a host of chronic conditions and illnesses that can wreck even the healthiest and strongest of us. To be sick is the new normal, and to be healthy is outstanding and unusual. Concerned citizens are battling grass roots struggles on all fronts, yet, at the top levels of society the corruption, gross negligence, and seeming incompetence continue unabated, ensuring that important decisions always favor the health of corporations and special interests. Make what you will out of these statements, but the fact remains that globally, human health and the environment are in critical condition and there is no sign of relief in sight. Couple this with the fact that many of the world’s elite do publicly fantasize of culling the human population, and the realization is harsh: we are targets. Our world simply does not have to be poisoned with chemtrails, radiation leaks, GMO’s, electro-magnetic pollution, frack wells, fluoride, mercury, vaccine adjuvants, depleted uranium, oil spills, antibiotics, endocrine disrupting chemicals, toxic food additives, agro-chemicals, pharmaceuticals, and so much more. The aggregated, generations long effect of such total contamination is the explosion of a host of bizarre and life-altering illnesses and ‘conditions,’ that chronically sap our energy and vitality, slowly debilitating us, separating us from our power and putting us into the doctor’s office. 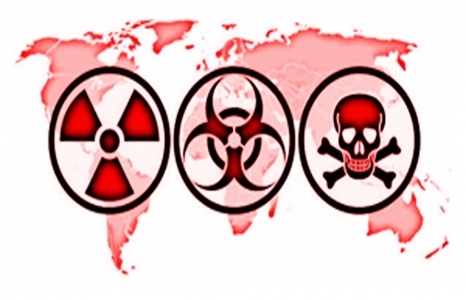 The following 11 common symptoms are signs that the global depopulation slow kill is in play and is effective, and that within a couple of generations the human race will no nothing of health, wellness and vitality. The primary attack on the body’s immune system takes place in the digestive system where the body’s natural bacterial defenses live. Chronic poor digestion, leaky guy syndrome, gastritis, colitis, inflammatory bowel syndrome, candida overgrowth, food sensitivities and other serious issues are become increasingly common, resulting from the consumption of denatured foods laden with chemicals and sugars, GMO poisoning and so on. Roundup herbicide is known to kill healthy bacteria in the body after being ingested in only residual amounts. Antibiotic overuse and contamination in the water supply means that building a health but biome is nearly impossible. The body’s natural store of energy is the first thing to become depleted when the body and mind are over-exposed to pollution and stress. The persistent exposure to toxic foods, poisoned spaces, electromagnetic radiation, psychological attacks, continually forces the body and psyche to be in a state of crisis. The regular amount of energy needed to perform the ordinary rigors of life is not available, and as a result we become chronically tired, low-energy, lethargic and generally slowed down. Even when we balance diet, exercise and meditation, maintaining personal energy is difficult, so many people are having to constantly dose themselves with caffeine and so-called energy drinks just to accomplish an ordinary day. Dietary illnesses such as the sweeping obesity and diabetes epidemics are a sign that the soft kill is greatly impacting public health. Public relations and social engineering have changed the public’s understanding of what food actually is, and as our consumption of crap corporate foods increases, so do our wastelines and our chances for getting getting chronic disease like diabetes. Of course, both of these conditions are entirely curable with a proper diet, but in a country where raw milk is illegal, the truth about food and health is rarely spoken in the mainstream. The maintenance of chronic illness is very profitable for the medical establishment, and obesity is a gateway to many chronic and life-threatening illnesses. Many people these days suffer from spells of disorientation and fogginess of the mind, without any clear cause or reason as to the mind should be functioning so poorly. Brain fog is a difficult to identify chronic condition where a person feels disconnected, confused and distant, almost an illness of consciousness. A spell can last for a day, or it can last for years, often persisting until a person finally isolates the primary cause. Candida overgrowth, a condition where negative bacteria is being over-produced within the body, is the result of poor diet and a compromised gut biome, and is thought to cause disorientation and brain fog. Chronic inflammation is part of a biological response to harmful stimuli and is increasingly being recognized as a serious silent killer because of the health problems it trigger. The purpose of inflammation is to rid the body of any causes of damage or injury and to initiate repair. It is a defense mechanism that being constantly activated primarily consuming by inflammatory foods. Modern wheat is an example of a food that has been so genetically altered that it now no longer provides nutrition, but rather instead irritates the tissues of the body, causing chronic inflammation, leading to bigger health problems. People suffer more seriously from seasonal and random allergy attacks than ever before, and some attacks can be severe enough to temporarily disable a person. Everyone is watching pollen counts on the nightly news, but allergies simply weren’t this serious a generation ago. Something has changed in the body and in the environment, and with the omnipresence of chemtrails and geo-engineering projects in the sky, suspicion that the respiratory system is being attacked is warranted. Autism in children is rising frighteningly and without a precise indication of exactly what is causing it, we should be dramatically erring on the side of caution. It could be environmental, it could be vaccines, GMO’s, or household chemicals, but something is taking our children. Will autism rates have to get to one-in-two before a Manhattan Project like effort is initiated to end this? It is predicted that soon at least 1 in 3 adults will have some form of cancer, which, as we know, has become a booming industry. 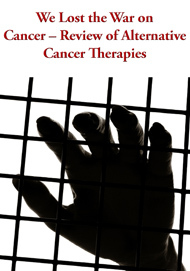 Alternative cures, treatments and therapies are targeted for extermination by the state, and the sick are corralled into risky, expensive treatments that fail to address the root causes of cancer and promote healthier living. This strange and scary disease appears to be an infection of sorts by some still unknown type of organic material. Manifesting as tiny living threads or worms that surface at the skin, irritating the patient, it is believed that no Morgellon’s patient has ever been able to undergo an autopsy due to an attempted global cover up. With no clear answers available from science, many point to geo-engineering and chemtrail spraying as the source. The public fluoridation of water in the US and other nations is medication without consent and without controlling dosages. This is a form of torture. The US government just admitted that Americans are overdosed on fluoride when they lowered the recommended amounts to put in public water supplies. Fluoride is linked to many health problems including cancer and lowered IQ in children, yet the government still forces into just about everyone. Dental fluorosis is a sign of overexposure to fluoride, and a sign of deliberate poisoning. Some will disagree, but mental health issues like ADD/ADHD, anxiety, insomnia, and depression can all be cured with proper diet, exercise and supplementation. In fact, these conditions are fairly new to the human population, and are on the rise, or at least diagnoses are on the rise. Of course the medical establishment benefits greatly from having more and more patients consuming drugs to remedy mental health issues. The soft kill is about distracting you from life, debilitating you, and getting you out of the game and into the pharmacy. It would take very little to eradicate so much of the toxicity from our modern world, but the initiative of the ruling elite is to destroy, contaminate and compromise all that which is most fundamental to life on planet earth. A deliberate soft kill. Is this an accident, or the global depopulation soft kill strategy working effectively for the world’s elite? What do you think? Sigmund Fraud is a survivor of modern psychiatry and a dedicated mental activist. He is a staff writer for WakingTimes.com where he indulges in the possibility of a massive shift towards a more psychologically aware future for humankind. Follow Sigmund on Facebook here. TLB recommends you visit Waking Times for more great/pertinent articles. 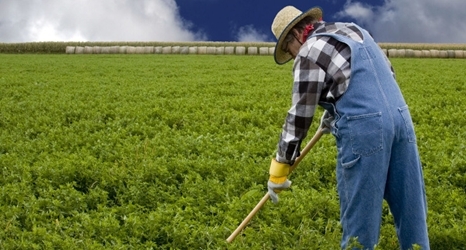 How can organic farmers survive? What does the US Environmental Protection Agency do when it has to save face over the claim that “glyphosate is completely safe�? when even the World Health Organization admits what many have known all along – that Roundup/glyphosate probably causes cancer? The EPA will simply place the blame on farmers. That’s right, you suspected all along about cancer, but what about those 32 species of Roundup-resistant weeds that have cropped up all over the US? Farmers will now be required by the EPA to take part in stewardship programs similar to those already imposed on Agent Orange corn and soy being released this year. It seems like a good thing at first glance, but the EPA stewardship programs are a total scam, and farmers should watch their backs. The agency’s “refuge�? requirements (farmers who plant crops with Bt traits must also plant a block or strip of crops without the Bt gene, which is called a refuge) for Bt-expressing crops, for example, are set at too small a percentage and aren’t enforced. They are therefore widely disobeyed, even by those with inadequate acreages. But the idea of the refuges lets the EPA pretend to have a policy in place to prevent the development of Bt-resistant superbugs. It is a bit ridiculous when we know that has already happened. Bt corn already accounts for about 65% of all corn grown in the US – what ‘refuge’ is there? “ . . . Monsanto Bt Corn (GE spliced with Bacillus thuringiensis DNA which provides an in-plant pesticide on rootworms and caterpillars)… has FAILED and the corn plants have lost pest resistance in the WORST way: the rootworms, earworms, and caterpillars in subsequent generations have developed a mutant strain RESISTANT to Bacillus thuringiensis which had never yet occurred before Monsanto splicing the Bt into Corn genes and upon consumption passing on a Bt resistant strain in subsequent generation.�? When these Bt resistant superbugs take over and no antibiotic can touch them – guess who Monsanto and their government lackeys will blame? The farmers. They’ll say they didn’t honor the ‘refuge’ policy which was never meant to be honored. How can you have a refuge for non-GM Bt corn when more than half of the entire country is already planted with it!? Have they heard of cross-pollination? Have they heard of terminator seeds? 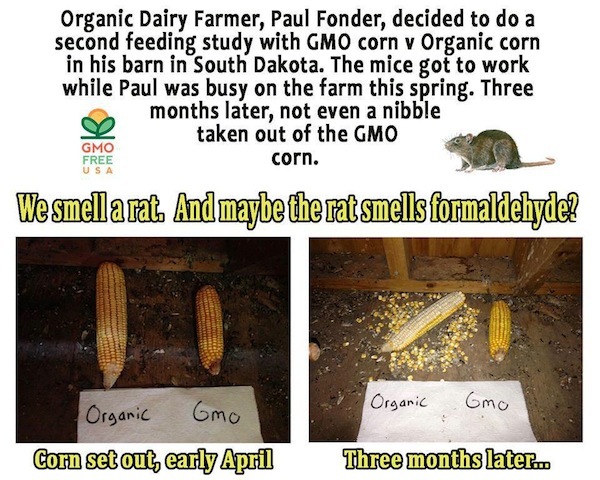 Ironically, Monsanto and the corporate media scapegoat farmers for using “too much Roundup,�? which is an absurd accusation when Monsanto makes “Round Up Ready�? crops. That’s no different than a crack dealer getting upset that his clients use too much crack. Circular logic? Yes. Farmers only use the amount of Roundup urged upon them by Monsanto and the USDA – told from the beginning that it was safe. Sure, we should have known better when a company known for making war chemicals was going to be in charge of our food supply, but nonetheless, farmers beware. Those super bugs that cause all manner of disease – they’ll be your fault – not Monsanto’s fault. Not the fault of the US government for allowing them in the first place. 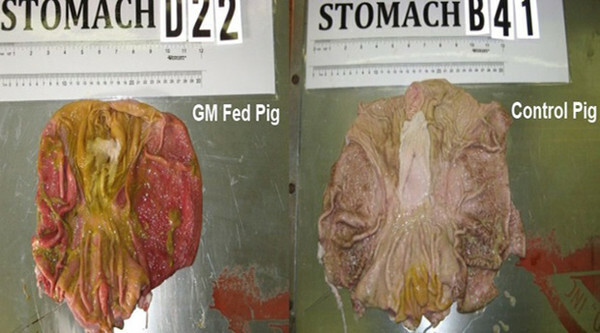 Remember the lies Big Biotech told farmers about GM seed increasing crop yields? They also lied about the way pesticide use (GMOs really increase it) or yields (GMOs yield less than non-GM) has increased with GM crops. The USDA has also been accused of harassing staff researchers who perform science that leads to results contrary to biotech corporate interests and formerly touted propaganda. PEER-reviewed briefs cite the effects of glyphosate and neonicotinoids as areas where honest research is especially subject to persecution. The USDA denies the charge, and claims its existing complaint and review procedure is adequate, though the numbers it gives are self-refuting. The EPA’s stewardship programs are a total joke. Try removing GM food from over 80% of arable land in the US, and then we can see progress. TLB recommends you visit Natural Society for more great/pertinent articles. A new documentary reveals how the $770 billion chemical industry is pumping dangerous substances into our lives. Back in 1974, the agricultural multinational Monsanto developed a class of herbicides using glyphosate as the key ingredient. By the 1990s, the company had created corn, soy and cotton seeds genetically altered to resist glyphosate herbicides, meaning farmers could kill weeds without fearing for the health of their crops. Today, Monsanto’s Roundup is the most widely used weed-killer in the world. One problem: we now know with certainty that glyphosate is carcinogenic to humans and animals. Though Roundup has been plagued by controversy for years, a report released this March by scientists affiliated with the World Health Organization definitively linked the herbicide to increased risks for non-Hodgkin lymphoma, as well as DNA and chromosomal damage in mammals. Roundup is only one of tens of thousands of chemicals we encounter every day in our food, clothing, furniture, electronics and cosmetics. Over 84,000 chemicals are used in U.S. commerce, according to the Environmental Protection Agency, most of which have never been tested for potentially toxic effects on human and wildlife health and the environment. The Human Experiment, a new documentary narrated by Sean Penn and directed by journalists Dana Nachman and Don Hardy, takes a wide-angle view on the health risks perpetuated by the chemical industry, and demonstrates how in their eyes we’re all just guinea pigs available for testing. The documentary uses three case studies to provide a sampling of the potential health consequences of sustained chemical exposure. Marika Holmgren is an active, non-smoking Bay Area woman with no family history of cancer who receives a diagnosis of advanced breast cancer at age 37; Jenn Canvasser is a healthy young woman who discovers she has polycystic ovarian syndrome and endures several difficult, expensive rounds of IVF treatments as she and her husband try to conceive; and Hannah Cary, whose brother is severely autistic, is an advocate at the Autism Society of America. The subjects and filmmakers make the case that chemicals in the environment are responsible for these health conditions, and there is plenty of unnerving science to back up their fears. Many of the professors and scientists interviewed in the film point to rising rates of cancer, learning disorders and infertility that cannot be fully explained by genetic drift or changes in diagnostic criteria. Breast cancer rates have gone up more than 30 percent in both men and women since 1975. Rates of asthma have increased by 80 percent in the last 45 years, and ADHD has increased by 53 percent. As Sean Penn narrates, these conditions “are all on the rise since the dawn of the chemical revolution.�? But correlation and causation are not the same thing, as any scientist (or journalist) knows. In the case of women like Jenn Canvasser, there could be many other environmental and genetic factors at play. Like 6.5 million other women in the U.S., Canvasser has trouble conceiving. When she finally gives birth to twins after multiple rounds of IVF treatments, both are plagued by health problems and one eventually dies after a few short, hospital-ridden months. Her story is heartbreaking, but at no point is her or her sons’ condition explicitly linked to chemical exposure. Instead, the filmmakers say “Numerous studies associate adverse pregnancy outcomes with toxic chemicals including pesticides, DDT, PCBs and BPA.�? Again and again, they hammer home the connection between rising rates of disease and chemical usage, but the strongest language they use is “linked to�? or “associated with.�? Still, consumers and health advocates undoubtedly have cause for concern, as the Roundup controversy shows us. Over the past several decades, the chemical industry has repeatedly demonstrated a blatant disregard for public health. Existing and new chemicals are supposed to be monitored by a 1976 law known as the Toxic Substances Control Act. But loopholes in its language mean that companies don’t have to test chemicals before including them in consumer products and make it very difficult for the EPA to pull hazardous chemicals from the market. Sixty-two thousand chemicals, including toxic substances like asbestos, were grandfathered in under the law, assumed safe because they were already in use. Essentially, the TSCA functions as little more than a long list of known chemicals, and consumers have no way of knowing which products contain flame retardants, formaldehyde, cadmium, or other chemicals that can be toxic to humans and animals. As David Rosner, a professor at Columbia’s Mailman School of Public Health, says in the film, there have been “real mistakes, major mistakes where we allowed these industries to get away with murder.�? The lack of available information about the linkages between chemicals and disease is partly the design of the $770 billion chemical industry. Dow, Exxon and other major firms spend millions each year lobbying Washington for favorable legislation and funding the campaigns of industry-friendly representatives. In the late 1990s, bisphenol A, an endocrine-disrupting chemical that mimics estrogen and can lead to health problems ranging from obesity to infertility, was discovered to be in many hard plastics. These everyday products included everything from baby bottles to Tupperware. During the ensuing public outcry, chemical industry trade groups released a rash of bunk studies, insisting that BPA is safe for humans at the levels to which we’re exposed. A great deal of work needs to be done to combat the industry’s influence, and The Human Experiment tracks the difficult, mundane efforts being made by health advocates, families and legislators to obtain stricter consumer protection laws. But this is only one angle pursued in the sprawling film, which tries to cover far more ground than its hour-and-a-half run time allows. 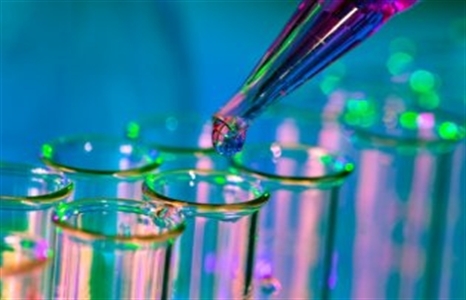 By taking on the “chemical industry�? as a whole, the filmmakers can only spend a few minutes discussing a particular chemical, or case study, before moving on to the next. This overly sweeping approach, paired with a lack of hard research connecting specific chemicals to specific health problems, can make the film somewhat juvenile at times, a documentary that basically boils down to the thesis “chemicals are dangerous.�? Yet despite this broad focus, there are notable absences in the film. With the exception of Maria Cruz, a housecleaner who immigrated from Mexico with her two children, almost all of the interview subjects are middle-class white people who have the financial resources to afford needed medical care and combat ineffective legislation. Little mention is made of the disproportionate effects of toxic chemicals on minorities and the working class, or of heavily polluted areas like Louisiana’s Cancer Alley, where the wastes pumped out by surrounding petrochemical refineries have caused high rates of miscarriages, cancer and other diseases. The real takeaway of the film is one that aligns quite closely with the values of middle-class white America: learning how to be a better consumer. Jenn Canvasser and Marika Holmgren now both work as consumer protection advocates, warning people of the dangers of toxic chemicals in their makeup and home furnishings. Consumer protection efforts are certainly admirable, but after gaining even a cursory understanding of the public health risks perpetuated by the chemical industry, learning how to make more educated decisions about which bar of soap to purchase isn’t exactly an inspiring rallying cry. The Human Experiment – Trailer from FilmBuff on Vimeo. TLB recommends you visit ALTERNET for more great/pertinent articles. About 30 years of research regarding non-Hodgkin lymphoma (cancer) and its correlation with occupational exposure to 80 agricultural pesticides and 21 chemical groups has linked glyphosate, the main ingredient in Monsanto’s Roundup, with cancer of the lymph tissue. In a paper published in the International Journal of Environmental Research and Public Health, 44 papers representing studies in high-income countries found that there was a “striking increase�? in the incidence of non-Hodgkin’s type lymphomas in the last 30 years. The paper explains that farmers have high cancer rates, overall, and agrochemical exposure is likely the culprit, even among a group that normally has low across-the board mortality rates. 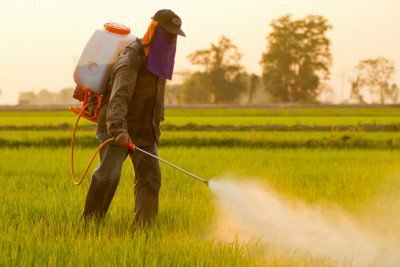 Among the pesticides studied, glyphosate exposure was found to be positively associated with a particular type of non-Hodgkin’s lymphoma – called B cell lymphoma. This best-selling toxin distributed primarily by Monsanto is just the tip of the iceberg, as pointed out by Sayer Ji of GreenMedInfo. The inactive ingredients in Roundup have also been found to be carcinogenic even in the parts per trillion range, so the study brings attention to a phenomenon which was already coming to light in the scientific community. “Today, the dissemination of glyphosate in the environment increases, and humans are permanently exposed to its action. Worst case scenario provides even ten-fold increase of using a glyphosate in the following years . Considering the widespread and frequent use of glyphosate throughout in world, thus the current risk assessment is important because the exposure will concern not only the users of the preparations containing glyphosate, but also those who do not have direct contact with that herbicide.�? As these chemicals are used in a slap-dash cocktail, understudied, and haphazardly applied to our crops, it is no wonder that different types of cancers are showing up in the populations most closely tied to their use – such as with farmers, their families, and even children who go to schools or playgrounds near fields that are sprayed. Lymphomas are a special type of cancer that attack the immune system. It would only be logical that pesticides and herbicides which also attack a plant’s immune system would be adverse to our own. That they are also creating organisms that are immune to the toxicity of these concoctions should be alarming. 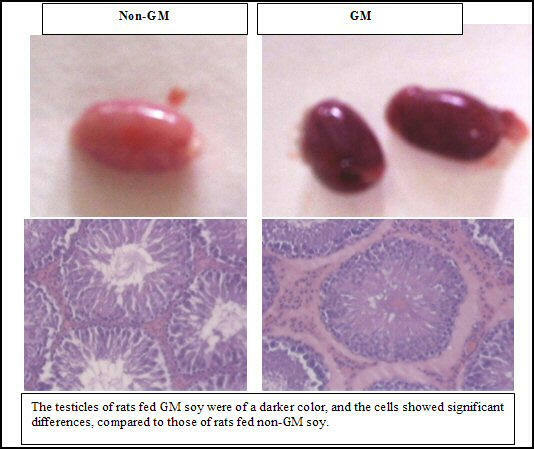 When cancer cells are stronger than our own healthy cells, perhaps the agencies allowing GM crops to exist will finally listen. TLB recommends you visit Natural Society for more great articles and pertinent information.